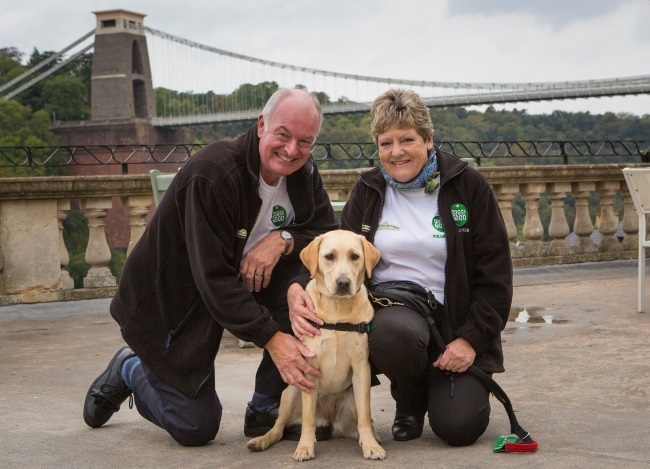 Do you live in Bristol or the surrounding areas and could you commit to caring for a puppy in your home for 14 – 18 months? We need loving homes for our special puppies in training. Our volunteer socialisers ensure that our pups have the best start on their journey to become life-changing dogs, so this is a hugely rewarding role. We have to limit our areas to ensure our Puppy Coordinators are able to effectively support our socialisers and their puppies. Please enter your postcode below to see if you are in the areas that we are currently recruiting puppy volunteers. We’re pleased to inform you that you live in an area where we need puppy socialisers. Please click here to complete the form. Unfortunately you live outside of the areas in which we recruit puppy socialisers and temporary boarders (puppy scheme). We are always looking for volunteers to help with our work, so please take a look at the other volunteering roles we have. Your postcode was not recognised. Please ensure you are typing the whole postcode. Please check your formatting and ensure it includes a space. If you continue to have trouble, please contact us. You are able to provide the puppy with regular contact with children, other dogs and cats.